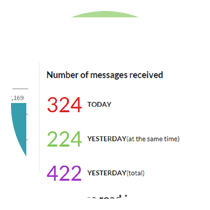 The reporting dashboard provides quick, real-time views into the number of messages received each day, the top responders and the method used to respond (i.e., OnPage smartphone app, email, etc.). With these insights, managers can better estimate workloads and resources. They can also determine which team members are spending the most time responding to issues and reassign upcoming incident management to others to provide relief. Team members get instant visibility on incident notifications, escalations, and acknowledgment with time-stamped audit trails to ensure that each incident is being managed appropriately and effectively. This report shows the subject of the alert message, when it was created, who responded and when they responded. 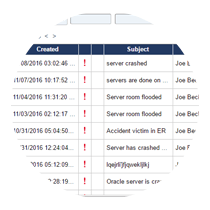 Post Incident Reviews (PIR) and post-mortem meetings are now easier to prepare with downloadable reports of incident alert management metrics. Teams can review the data, discuss and discover any issues and correct them to help teams improve incident alert performance. 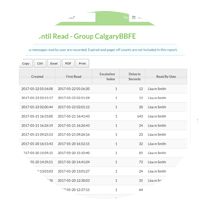 Data includes each alert sent, the number of incidents, a record of time-stamped responses received and missed alerts, groups and team members involved, and more. Post-mortem reporting makes it easy to review current or historical incident response to identify workflow pitfalls, areas where the process is not being followed correctly or HR issues. Reports and charts can also reveal if there are team members who are taking too much of the burden of responding to incidents, providing opportunities to balance responsibilities among others to keep everyone motivated. Learn more about post-mortem reporting, escalation policies, and on-call scheduling. Request a demo.